An international company based in Daleville that trains pilots, flight engineers and maintenance technicians on Russian Mi-17 helicopter simulators is in the process of obtaining foreign certification. Concord XXI USA, located on Robert C. Barnes Drive, moved toward completion of a foreign certification this week through the European Aviation Safety Agency (EASA), via the State Aviation Administration of Ukraine. According to the website for EASA, which is headquartered in Germany, the agency provides specific regulatory and executive tasks in civil aviation safety and environmental protection for more than 30 countries. Eric Huppert, president of the company, said a team from Ukraine spent much of the week inspecting Concord XXI’s facilities and overlooking syllabi and the Level D-equivalent, Full Flight simulators for the Russian Mi-17. The certification process is expected to be completed on Saturday. Huppert said EASA is the equivalent to the U.S. Federal Aviation Administration in the countries EASA represent. He said the certification will allow Concord XXI to appeal to entities that require a training facility to have a foreign certification before training a company’s contractors. Retired from the U.S. Air Force, Huppert said he founded Concord XXI in 2010 after he recognized the need to train pilots on the Russian aircraft the way training is done in the west, instead of the old Soviet style of training. He said the company is now training all American Air Force advisors who train the military in Afghanistan. Concord XXI Vice President Edward Shulman said the EASA certification process began about six months before the physical inspection of the Daleville facility this week. 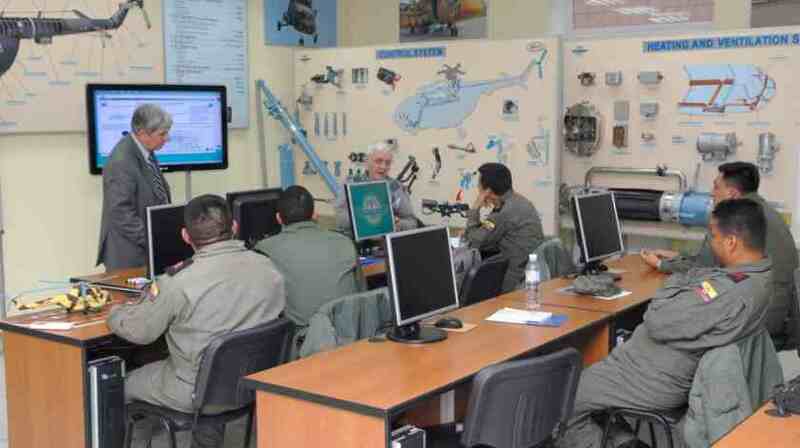 He said Concord XXI has already trained more than 2,000 pilots, most of whom are NATO members. Concord XXI USA program manager Shane Labrie said EASA is a significant accomplishment, giving the company all approvals possible for any agency to scrutinize.